Here’s how to download and install Specto Kodi addon in 2017 on version 17 or 17.4. This process will work regardless of the platform that your Kodi installation is running on. 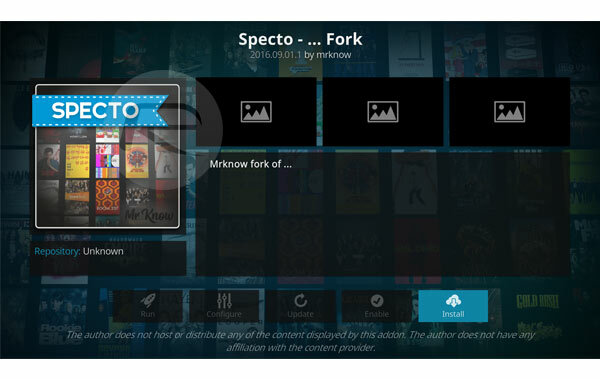 As far as add-ons for Kodi are concerned, Specto is a relative newcomer to the community. That however doesn’t make it any less impressive or worthwhile. Like most good Kodi add-ons, it comes with an impressive selection of movies and TV shows which should suit everyone’s needs. This is largely an impressive add-on as it’s essentially a fork of the old Genesis add-on which was extremely popular back in the good days. So Without further ado, let’s dive right in and take a look at the installation process. Step 1: Select the main System settings on your Kodi installation. Select the Add-ons option from within the settings. Step 2: In this section, you will notice that there is an option called Unknown sources. Make sure the toggle switch associated with this option is turned to the On position. Step 1: Before you can get the add-on, you need to have the holding repository installed on the Kodi installation. To do this, select the ‘Gears’ icon on the main Kodi screen and then select File manager. You can then select OK and add a name for the repo. Step 3: Head back to the Kodi main screen and select Add-ons. You now need to select the icon which looks like an open box to browse through packages. 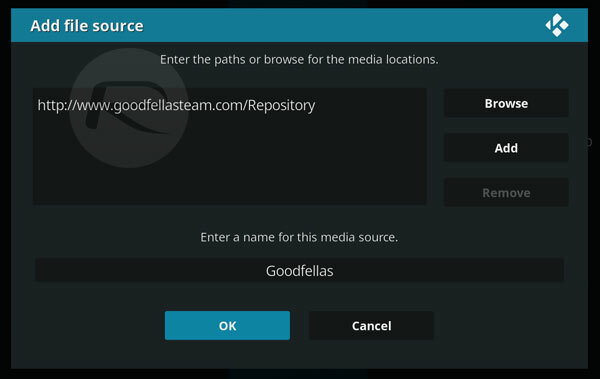 Step 4: Select Install from zip file option and then select the Goodfellas source. Or select whatever you actually called the source earlier on in the process. Step 5: Select the repository.goodfellas-1.6.1.zip file to continue. You will get a confirmation message presented to you when this has been installed. Step 6: You now need to install the Specto add-on. Select the Install from repository option, then navigate to GoodFellas > Video add-ons > Specto – … Fork. Step 7: Once you select that you will see an Install button. Go through the installation process until you are up and running with the wonderful Specto add-on. 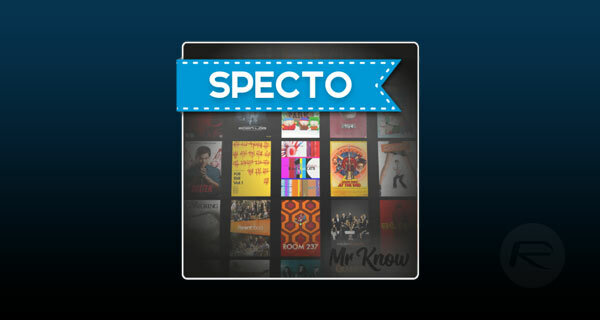 That’s it, Specto is now up and running on your Kodi installation. Enjoy! Is this article encouraging piracy?